Last week, the House Committee on Education and the Workforce unveiled its proposal for rewriting the Higher Education Act, the nation’s main law governing postsecondary education. The Promoting Real Opportunity, Success, and Prosperity through Education Reform (PROSPER) Act is the beginning of an important conversation about what the future of learning beyond high school should look like in this country going forward. Unfortunately, the bill’s vision of higher education is an emboldened industry at the expense of students. In a one-two punch, the bill would first eliminate key requirements that shield students from being taken advantage of while they’re in school, and then follow up by undercutting the safety net that prevents debt from ruining the lives of low-income borrowers. Similarly, the bill limits state efforts to oversee schools and loan servicers, and ties the U.S. Department of Education’s hands in conducting oversight work. Though the bill has some positive elements, its net result would shift even more responsibility on to students and off of institutions. Just as striking, the bill does not make any serious attempt to solve the real problems with the American higher education system. It would do little to put a dent in unacceptable gaps in access and completion by race and income. And it would not tackle the damaging effects of the declining state role in higher education over the last several decades. While the CAP Postsecondary Education Team will continue analyzing parts of the bill over the coming days and weeks, below are short summaries of key provisions. The PROSPER Act upends the accountability system in three key ways. One is unequivocally worrisome, another has unknown effects. The third reveals a troubling shift in mentality. Many of these requirements play a key role in giving private for-profit colleges an incentive to do a better job serving students. For instance, gainful employment forced schools to reevaluate the quality of their offerings and either lower prices or eliminate programs where graduates could not find jobs—such as criminal justice. Other accountability changes have effects that are less clear. The most consequential is the removal of the longstanding requirement that colleges keep their student loan default rates below certain thresholds. Instead, the bill replaces this requirement with a new measure of active repayment that is assessed at the program level. To maintain access to federal financial aid, postsecondary programs would have to ensure that at least 45 percent of their borrowers did not default and were fewer than 90 days delinquent at the end of the third fiscal year in repayment. It’s good to see the PROSPER Act shift the conversation toward recognizing the worrisome problem of borrowers who are unable to repay their loans. And replacing the cohort default rate with another measure is not a huge loss, as this indicator threatens financial aid eligibility for only about 10 schools every year. Unfortunately, there’s no data to model the effects of PROSPER’s proposal, so it’s hard to say whether or not the measure is a good gauge of repayment or what types of programs would fail. The impacts of the bill’s new accountability requirement for under-resourced public and private nonprofit colleges is also unclear. The legislation adds a new requirement that funds issued under Titles III and V of the Higher Education Act—which support minority-serving and other low-resourced institutions—can only go to schools with a combined completion and transfer rate of 25 percent or more. This provision does not apply to funds for tribal colleges or historically black colleges and universities. On the one hand, it’s important that federal accountability start including measures of completion. On the other, it’s concerning to see this requirement applied only to grants designed to help underfunded schools with lots of high-need students while walking back from accountability elsewhere. Outside of specific regulations and metrics, the bill more broadly signals greater deference to institutions on every aspect of oversight. It hamstrings the Department of Education, making it more difficult for the secretary to ask colleges to provide a letter of credit or some other type of monetary guarantee when the department deems the school to be at risk financially. Similarly, the bill forces Education Department reviews of schools to provide initial findings within 90 days. Given that these reviews need to be better focused on big picture issues, rushing the findings will make it more likely that institutional problems will go unnoticed. The bill also sets new rules for issuing Education Department regulations, requiring the agency to reach out to industry representatives in Washington, D.C., giving lobbyists greater input on the final outcome. Sadly, the mentality of industry ahead of oversight even translates to the state level. The bill limits the authority of states to oversee online colleges that enroll students in their state. It also prevents ongoing state efforts to hold student loan servicers accountable. This is an important mechanism for preventing poor repayment outcomes, especially since the Trump administration withdrew planned borrower protections earlier this year. In the almost decade since the last Higher Education Act reauthorization, the price of undergraduate tuition has gone up 20 percent in real terms. It’s unlikely that much in this bill will do anything to change the trajectory of undergraduate college prices. This bill’s affordability provisions have four general elements: consolidating grants and loans, eating away at the repayment safety net, changing loan limits, and letting the Education Secretary sell federal loans. The bill proposes significant consolidation within the federal aid programs. It eliminates the Federal Supplemental Education Opportunity Grant, which provides $732 million in aid to 1.6 million students each year. It also ends subsidized Stafford Loans, which do not accumulate interest while the borrower is in school. This change affects 6 million borrowers and would cost students $27 billion over the next decade. While simplification is not inherently bad, the real concern is what happens with the money saved from these changes. The answer appears to be that only a fraction goes back to students. On the positive front, the bill provides an additional $300 in the form of a bonus for Pell Grant students who take more courses each term. (Students who get additional Pell grants to attend classes in the summer appear to be ineligible for the bonus.) It proposes paring the current system down to only one loan program, which would make it easier for students to differentiate between grants and loans. It also eliminates the origination fees that range from around 1 to 4 percent depending on the type of borrower. 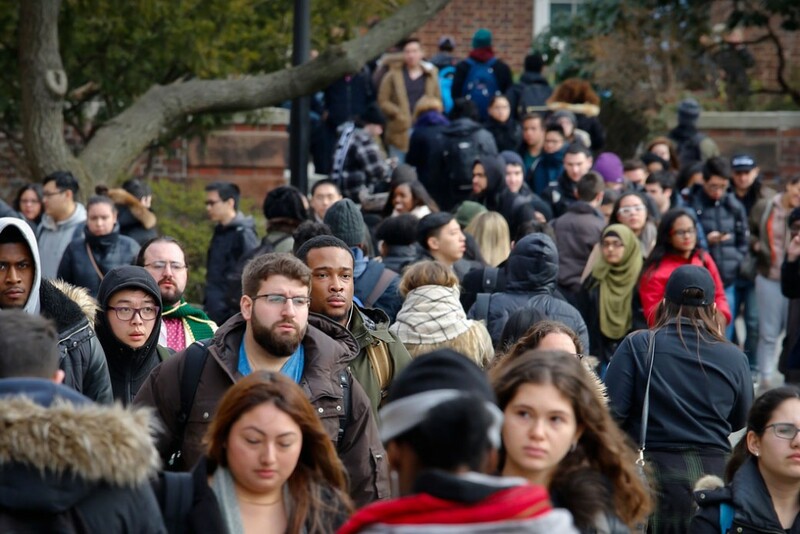 The legislation also signals an interest in spending more on the Federal Work-Study program, which subsidizes student employment, and better targeting its antiquated formula. While it’s not yet clear exactly how much these provisions would cost, they are unlikely to add up to the billions saved from cutting subsidized loans and making student loan debt more expensive during repayment. The bill also makes substantial changes to repayment plans that tie monthly payments to a student’s income. Existing income-driven repayment (IDR) plans set payments at 10 to 15 percent of a borrower’s income after adjusting for core expenses. They then forgive any remaining balances after 20 or 25 years of payments, with a shorter forgiveness window of 10 years for those engaged in public service. These programs promise students that they will never pay more than a set share of their income, and that they will remain in repayment for a finite amount of time. The new IDR plan offers neither of those assurances. It requires borrowers to pay 15 percent of their discretionary income, but all borrowers must pay at least $25 a month. This is a change from existing plans that allow for $0 payments. Borrowers on the new IDR plan would only receive forgiveness once they paid an amount equal to what they would have on the standard plan, which retires a loan in equal installments over 10 years. For some low-income borrowers, this likely means that they will never see forgiveness. The bill also appears to end the ability for new borrowers engaged in public service to get forgiveness after 10 years of payments. CAP’s postsecondary education team will have a longer analysis of what this repayment change means in the coming days, but the implications for low-income borrowers are significant. Forcing borrowers to pay back an amount equal to the total bill for the standard plan, CAP has found, would force persistently low-income borrowers to repay for decades upon decades. The new loan options created by the PROSPER Act also change borrowing limits for students and parents. Undergraduate students would be able to borrow up to $2,000 more each year. For dependent undergraduate students—those who the federal system assumes receive support from their parents—annual limits would now range from $7,500 to $9,500, with a lifetime limit of $39,000. Independent undergraduate students—those who the federal system assumes are on their own financially—would be able to borrow between $11,500 and $14,500 a year, for a lifetime cap of $60,250. Establishing loan limits for parent and graduate borrowing is a reasonable step. It is also a better approach to concerns about graduate debt than many of the ideas for reforming income-driven repayment. Whether these limits are set in the right place remains to be seen. The cost of this switch, however, is a significant worry. Graduate and parent loans make substantial profits for the government. If curtailing costs money, then cuts to subsidized loans and other student benefits may be paying for further restrictions in borrowing. A provision in the PROSPER Act also raises questions about who will be receiving payments on federal loans in the future. The bill allows the Education Secretary to sell federal student loans, presumably to private investors. While this cannot come at a net cost to the government, selling off some portion of the $1.1 trillion in federal loans held by the Education Department could open the door to an unwanted return of private industry in the loan programs. Higher education must not only be affordable, but also offer high-quality programs of study that impart useful knowledge and skills. Most of the quality oversight in today’s higher education system is provided by a set of nonprofit accreditation agencies. These organizations conduct detailed reviews of schools to ensure they meet certain standards. The PROSPER Act makes some improvements to the existing quality assurance system, but also authorizes a waiver program that provides no accountability or oversight should the experiments it allows prove harmful to students. On the positive front, the bill encourages accreditation agencies to conduct differentiated reviews of colleges. This allows accreditors to spend more time focusing on struggling schools and devote fewer resources to successful ones. The only potential downside is there will be minimal oversight into how these differentiated structures get set up, which could let some colleges slide by on minimal standards. The bill also makes it somewhat tougher for institutions to switch accreditors if they are facing serious actions. This has been a problem in the past, such as when institutions switched to the Accrediting Council for Independent Colleges and Schools (ACICS) after facing sanctions from other agencies. The bill does not completely ban troubled schools from switching, but it does require them to justify the move to the secretary. Other changes slim down the number of features accreditors are required to consider when reviewing a college to place a greater emphasis on student outcomes. Pushing accreditors to focus more on educational results is a good idea. However, among the areas of investigation eliminated are requirements to review a school’s marketing and recruitment practices. Removing that area raises concerns that predatory behavior might go unnoticed. The language also gives institutions too much latitude to set their own standards for what are acceptable outcomes, opening the door for colleges to set low bars of success. The end result could well be little change in the actual focus on outcomes. Sadly, these positive changes are swamped by a broad waiver authority granted to accreditors. The legislation allows accreditors to request a waiver of any requirements they face in the name of encouraging innovation or reducing burden. While those are admirable goals, this waiver process contains no guardrails if this innovation goes awry, such as ensuring loan forgiveness for students whose institutions serve them poorly. Nor does the provision contain any requirement to rigorously evaluate the waivers to see if they achieved their goals. While flexibility can be beneficial, the PROSPER Act goes too far, putting students at risk. In addition to the programmatic changes, the PROSPER Act also alters two key structural elements of how the Education Department handles higher education reform: the setup of the Office of Federal Student Aid (FSA) and the regulatory process. FSA would get some additional oversight under the PROSPER Act. The office is a performance-based organization, a somewhat unique structure designed to encourage the better delivery of federal services by waiving rules on hiring and procurement and generally providing greater autonomy. The bill keeps the performance-based structure but adds a seven-person advisory board. The board would oversee FSA leadership to ensure it fulfills the mission of the organization, hires the right people, and issues proper bonuses. More external oversight of FSA is a good idea, but the emphasis in all the changes is only around the office’s role in handing out federal aid and managing the loan portfolio. There’s no recognition that FSA is also a major regulator that must oversee thousands of institutions and play an active role in rooting out waste, fraud, and abuse. This is a particular concern in light of efforts to undermine the Consumer Financial Protection Bureau—the other major regulator in the higher education space. The inability of Congress to regularly pass legislation has led to an increase in regulatory efforts. As a reaction, this bill overreaches into Education Department actions. It strictly limits the ability of the Secretary to issue new regulations. It also builds in mandated periods of Congressional comment before the agency can issue regulations. This raises serious issues around the role of public comment. Congressional offices already can comment on rules. Prioritizing their voice ahead of the public when they have the ability to address issues through legislation unfairly advantages them and skews influential comments toward industry, not students. The largest text change in the bill is the wholesale elimination of Title II, which currently addresses teacher preparation programs. In its place, the PROSPER Act inserts a new section on apprenticeships. Eliminating the current Title II means cutting resources that can help teachers be more successful in the classroom. For example, Title II funds the Teacher Quality Partnership (TQP) Grant Program, which provides funding for teacher residencies and other clinically-focused teacher preparation. Dropping Title II means deleting all reporting requirements for teacher prep programs. Existing reporting requirements are a bare minimum for quality assurance and transparency. Without them, prospective teachers would be in the dark again—not even knowing whether program graduates are able to pass the licensure and certification exams required to begin teaching careers. Instead of teacher preparation, the new Title II is called “Expanding Access to In-Demand Apprenticeships.” It would establish a grant program aimed at creating new industry-led so-called earn-and-learn programs that bring together higher education and employers. While it is encouraging that the bill expresses support for work-based strategies, the legislation conflates this concept with Registered Apprenticeships, which have a very specific meaning. Registered Apprenticeships meet certain standards set by the U.S. Department of Labor concerning employer involvement, wages, the structure of the training provided, and apprentices are awarded a nationally-recognized, nationally-portable credential upon completion. Establishing a new program that is called an apprenticeship but does not adhere to these standards risks creating confusion among employers and workers, and could compromise the quality of apprenticeship programs. The House legislation starts a crucial conversation about how to make higher education a more effective vehicle for this nation’s goals. Unfortunately, this proposal’s vision for moving postsecondary education forward is far afield from where our system of learning beyond high school needs to go. Continued cuts and greater burdens on students will not correct for decades of declining state support, unacceptable equity problems, and a host of other issues that hold back our system of colleges and universities—and the students they educate—from reaching their full potential. Hopefully Congress will do a better job addressing these issues as the HEA discussion continues. *Authors’ note: The source for the statistics in this paragraph can be found in Table fpbhbfe and Table fpbhd1c, available here. Lisette Partelow and Angela Hanks also contributed to this piece.